When you purchase a new car, you expect your vehicle to have all of the latest safety equipment. However, a recent Senate report has revealed that automakers are continuing to install defective Takata airbags in their newest model vehicles. This report confirms the use of Takata airbags in 2016 and 2017 Fiat Chrysler, Mitsubishi, Toyota, and Volkswagen vehicles. The sale of new cars with defective airbag components has been widely criticized by consumer rights groups. The Takata airbags that are currently being used lack a desiccant to absorb moisture and reduce the risk should an ammonium nitrate inflator malfunction. The National Highway Traffic Safety Administration (NHTSA) has already announced plans to recall these airbags by 2018 but has said it does not necessarily consider them an immediate safety threat. Ammonium nitrate, the chemical used to inflate the airbags, breaks down over time and, thus, poses minimal risk for short-term usage until manufacturers can finalize plans for inflators using a safer design. The Takata airbag recall is the largest of its kind in U.S. history. To date, federal regulators have recalled tens of millions of defective airbags manufactured by the Japanese company Takata. The basis for the recall is a defective inflator and propellant that could possibly cause the airbag to deploy incorrectly when a collision occurs. There have been cases of the airbags shooting metal and/or plastic fragments into vehicle occupants. This problem is thought to be more prevalent in high humidity locations such as Florida, Hawaii, and the U.S. Virgin Islands, but problems have occurred in low humidity locations as well. Manufacturing defects such as subpar welds are also causing problems for select airbags. In 2002, Takata's internal audits show that the company allowed a defect rate for its airbags that was six to eight times higher than the acceptable industry standard. Public announcement of the Takata airbag problem didn't occur until April 2013, but there is evidence to suggest that Takata knew of the potential for serious harm to consumers since 2004. To date, at least 13 deaths have been linked to Takata airbags. Eleven of these deaths occurred in the United States, with the most recent fatality involving a 50-year-old woman who died after a car wreck in California. She was driving a 2001 Honda Civic and was involved in a head-on collision with a man making a left turn in a Chevrolet pickup truck. The Civic had been involved in multiple recalls since 2008, but there was no evidence the woman had received notice of the safety issues associated with her vehicle. Over 100 people have also sustained various injuries to the face and body as the result of the defective airbags. The Takata airbag recall initially affected 24 million vehicles from 14 different manufacturers, all sold since 2000. However, in May 2016, the recall was expanded to include an additional 40 million vehicles with the problematic airbags. Nearly every major automaker has vehicles affected by the Takata airbag recall, including BMW, Buick, Chevrolet, Chrysler, Dodge, Ford, GMC, Honda, Toyota, and Volkswagen. You can visit the SaferCar.gov website to search for your vehicle's VIN number to learn if you need to take further action. Dealerships are replacing the defective airbags in consumer vehicles free of charge. Owners of vehicles with defective Takata airbags are encouraged to have this done as soon as possible. It is not recommended that you attempt to disable the airbag yourself. In addition to being dangerous, disabling your vehicle's airbag is illegal. However, if your dealership is unable to replace the defective airbags due to the widespread part shortage, they'll disable it and provide a sticker saying that no one should sit in that seat until the airbag has been repaired. 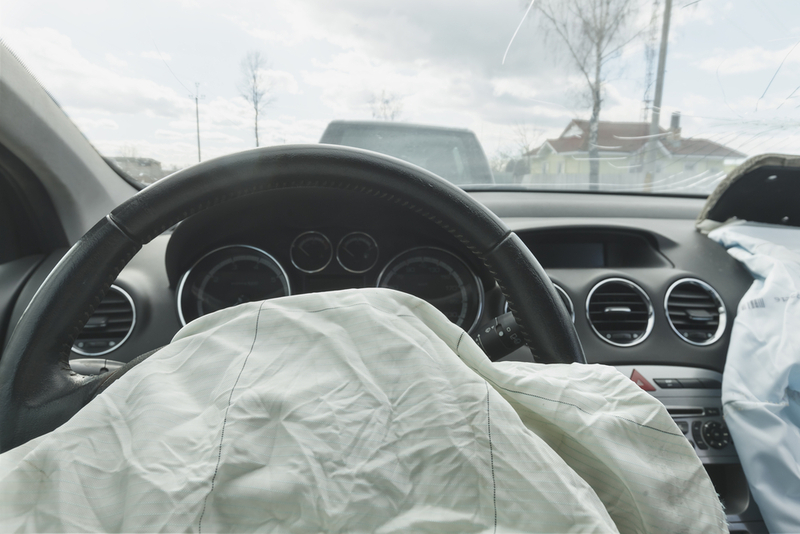 If you've recently be involved in an auto accident and received injuries that you believe may be related to a defective Takata airbag, Neblett, Beard & Arsenault can help. To learn more, contact us for a free, no-obligation case evaluation.